Before the 19th century, a typical portrait would be of a wealthy landowner, merchant or nobleman (and their families). After about 1800 portraits of people from all ranks of society began to be commissioned. Pictures of the rich and famous started to include artists, politicians, literary figures and scientists. 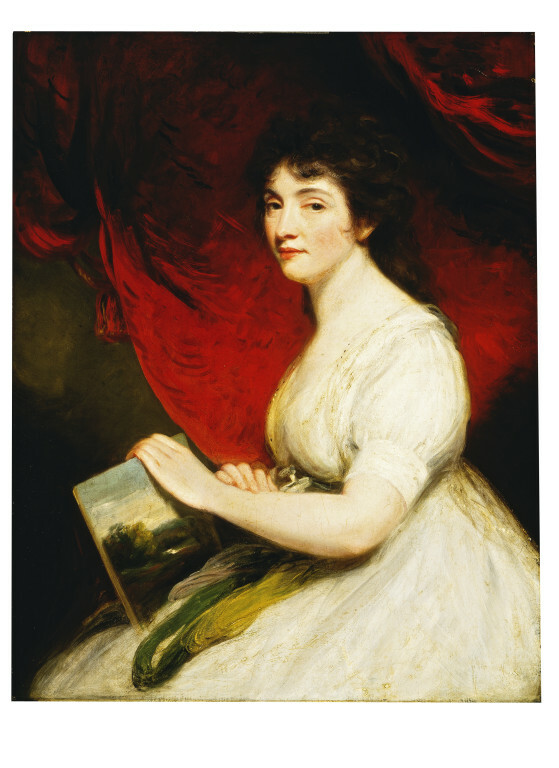 Mary Linwood's copies of old master paintings in crewel wool (named from the crewel or worsted wool used), in which the brush strokes were rendered by stitches, achieved great fame from the time of her first London exhibition in 1787. On one occasion her copy of a painting by the Italian artist Salvator Rosa (1615-1673) was sold for more than the original. Her exhibition in Leicester Square, London, was the first art show to be illuminated by gaslight. The first commissioned work of the landscape artist John Constable (1776-1837) was to paint the background details in one of her works. Linwood's portrait of Napoleon, said to have been done from life, was bequeathed to the V&A at the same time as this picture. 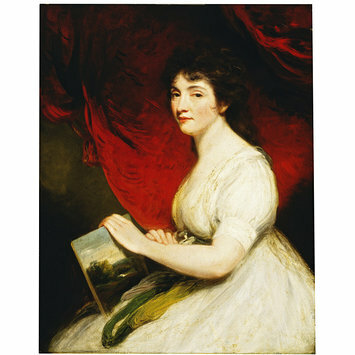 So successful was Mary Linwood that she was able to commission John Hoppner (1758-1810) to paint her portrait. 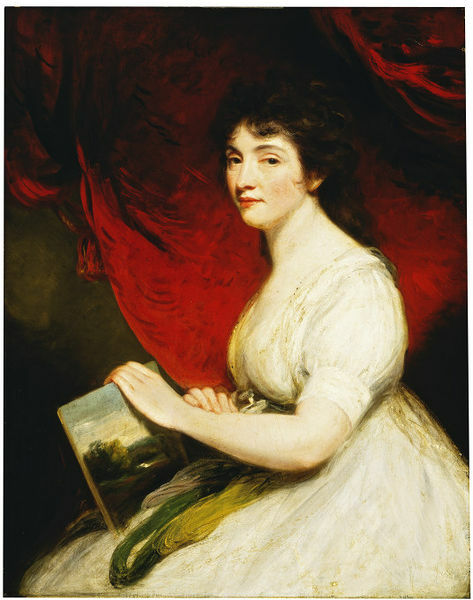 By this time he was principal painter to the Prince of Wales (later George IV) and the most important portraitist in England.